Back in the summer of 1990 I had a few things. A girlfriend, a car with a loud stereo and a newly acquired cassette of the Black Crowes debut "Shake Your Money Maker". Great debut loaded with 4 still popular songs that my girlfriend hated it especially if played loud. So I got rid of the girlfriend (for numerous reasons but the dislike for loud music was way up there), eventually the car died and cassettes faded away along with my interest in the Black Crowes. Cut to 2010 (Twenty years later). 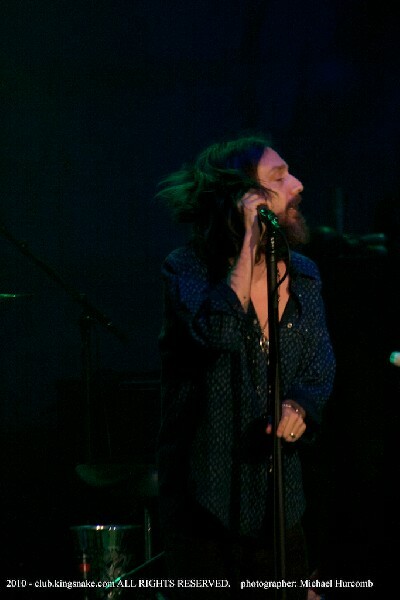 The Black Crowes are in the midst of their Say "Good Night to the Bad Guys Tour" which will be followed by a lengthy hiatus. They've taken a hiatus before but it's on much better terms this time around. The Toronto show, along with a more dates on this tour are split into 2 sets. The 1st being billed as the "Acoustic Hor D’oeuvres" (60 minutes) followed by "an Electric Reception With The Black Crowes". The band didn't waste anytime getting to the hits; leading off the acoustic set with "Jealous Again". Much to my surprise this worked really well when stripped down and the crowd loved it. Only minutes before most of the seats were empty but when the lights dimmed and the music kicked in the audience swarmed in, beers in hand and filling the aisles to dance. Guitarist Luther Dickinson held the majority of the spotlight (in both sets) with his impressive guitar skills and jam band style extended solos. 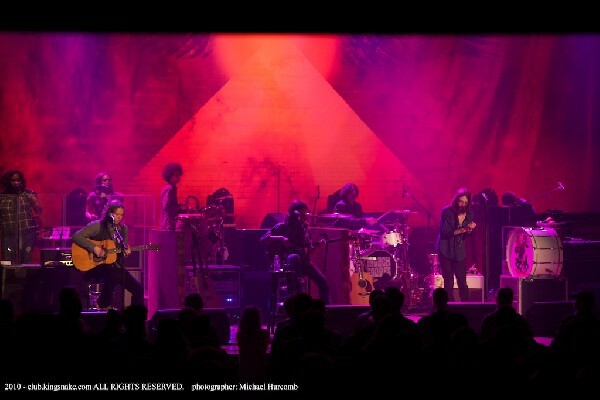 Rich Robinson showcased his musicianship and guitar collection as well as taking the occasional turn singing lead. Chris (the former Mr. Kate Hudson) shared a story of how easily these old hippies can cross the U.S. Canadian border, showcased his vocal skills and shook his tambourine like a money maker. The band are obviously at a point in their career where they're enjoying their revival, their catalog and their future. I got the feeling that most fans enjoyed the more energetic electric set but I enjoyed the more intimate acoustic set. If I had to pick one song / performance to hear again it would be their cover of Aretha Frankin's "Do Right Woman, Do Right Man." Really quite beautiful. 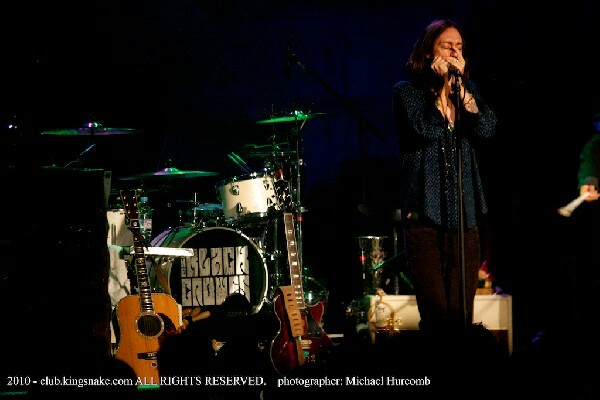 Maybe it won't take me 20 years to catch up on the Black Crowes again.